The benefits of taking an organised tour are that every detail is taken care of, from the route and booking the hotel to organising dinners and drinks, and you will be with a group of like-minded people for the weekend. With a tour you're also more likely to get easy access to help should anything go wrong. Petrol, food, drink, personal expenses, and insurance are generally not included. 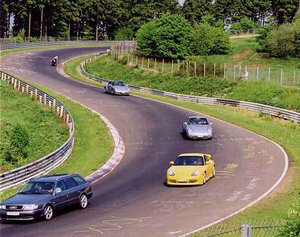 If you prefer to hire a racecar at the Ring, the tour company will help you do this. Ring tour companies can also put together a bespoke tour with racecar rental and transfers from the airport if you are coming from overseas. Destination Nurburgring 9 will be on 2-3rd July 2014. More details can be found on their website. Guided tours to the Ring, Spa, and other European destinations, including race events. 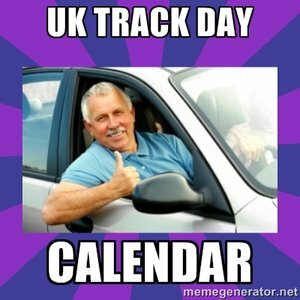 Also organises UK and European track days. Circuit Days' next Nurburgring 700 tour will be on 2-4th July 2014. More details can be found on their website.